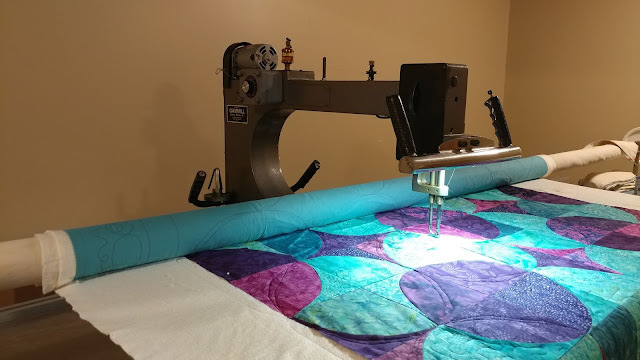 Slice of Pi Quilts: Quilting Dream Come True: I Bought a Longarm! I started by trying to find a place locally that I could rent longarm time. Nope. 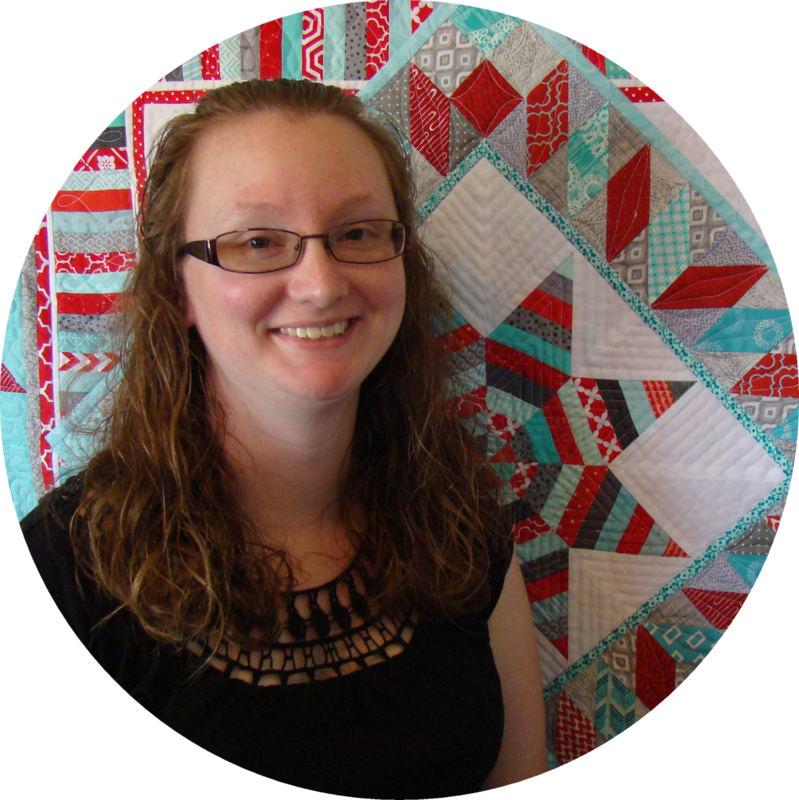 I tried finding someone locally that could custom quilt it on my deadline. Not in my budget. I tried to justify doing it on my Juki. Bad idea. So I went to the internet in search of a longarm. Within just a few days, one was listed on the Facebook Marketplace near me. My husband did not think it was a good choice. The very next day, another one was listed on Facebook Marketplace. It was a deal too good to be true. Instead of talking me out of it, my husband said, "If you can make room for it, you can get it." I immediately got a tape measure, starting rearranging our basement, and called the seller. 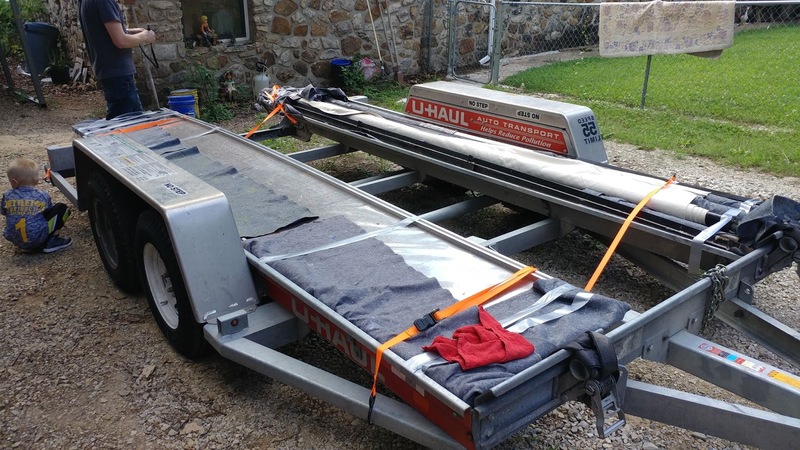 Within a few days, we rented a trailer and made the two-hour drive to get it. On the way home, we had to drive through torrential rains. Once home, the trailer got stuck in our gravel driveway - about 100 feet from our house. We had to haul each piece in the rain from the driveway into the house (all while I was about 28 weeks pregnant!). Once inside, we had to use fans, dehumidifiers, and towels to attempt to dry all the pieces. We had to call the neighbor to come over with his tractor to get the trailer unstuck from the driveway. It was not a good start! 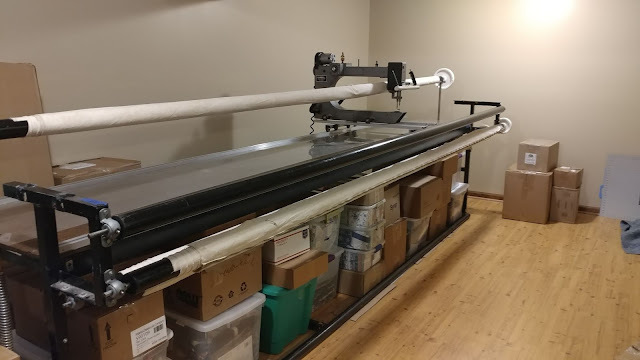 Once dried, we reassembled the longarm in our basement. There was dirt in the tracks and the canvas leaders were no longer straight. I began to worry that my "too good to be true" deal might actually have been a terrible decision. I made a trip to the store to get a paintbrush and Expo wipeoff board cleaner. The tracks cleaned up amazingly well! I rolled and unrolled and rolled and unrolled the canvas leaders. I pulled and stretched them several times to attempt to get them straight again. Within a couple days, they rolled completely straight on the rollers. I cleaned and cleaned and oiled the machine. I pulled out one of my charity quilts that was waiting to be quilted for the first test run. I loaded the quilt, but left the thread and all settings on the machine just like the seller had left it. I held my breath and began quilting. It worked fabulously!! I unloaded the quilt and then tried another. And another. 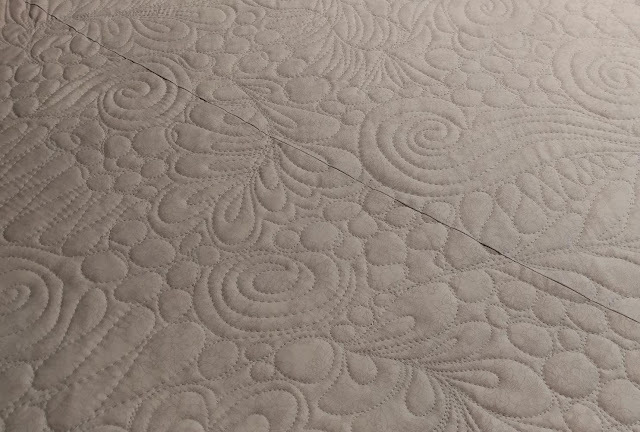 Each time, the quilting was perfect. I kept myself from getting too excited though, as I REALLY wanted to be able to quilt with Aurifil 50wt thread on the machine. I decided it was time to invest in some repairs and upgrades. I bought a new bobbin case spring, titanium needles, track wax, and Red Snappers. 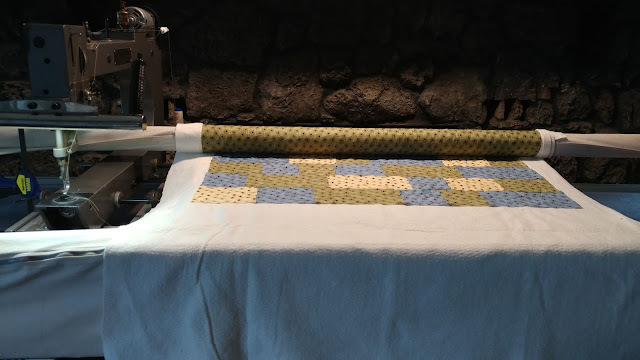 While waiting on the shipment to arrive, it was time to make the queen-sized quilt with a two-week deadline. 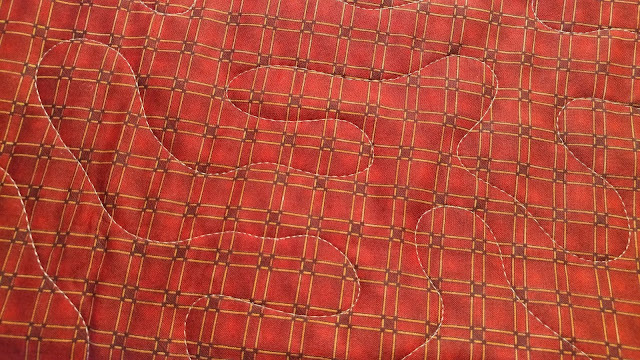 Once the quilt top was finished, I didn't have time to stew over whether or not the longarm would work. I just had to jump in with both feet! I installed the Red Snappers, applied the track wax, replaced the bobbin spring, and put in a new needle. I threaded the machine with Aurifil 50wt and loaded another charity quilt. 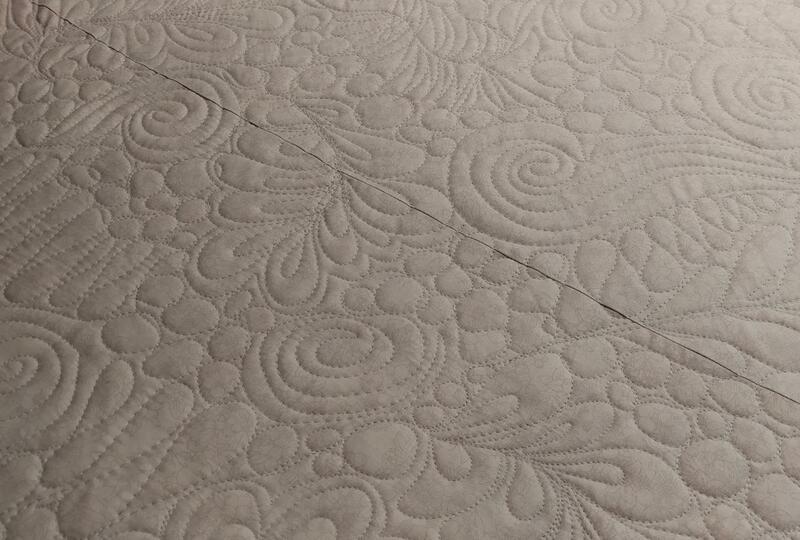 A couple of minor tension adjustments was all it needed, and it quilted beautifully! With Aurifil 50wt!! In order to use my 50wt spools, I had to use a cone over the cone holder, then a crayon to hold the spool on top of that. As Tim Gunn would say, "Make it work!" 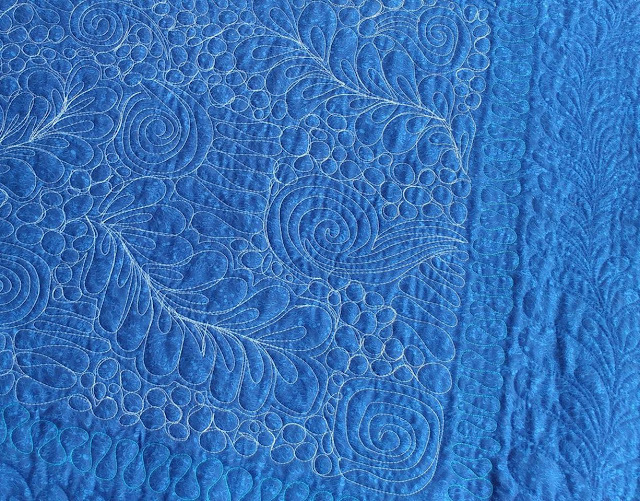 I loaded a deadline quilt (still a secret that I can't share yet!) 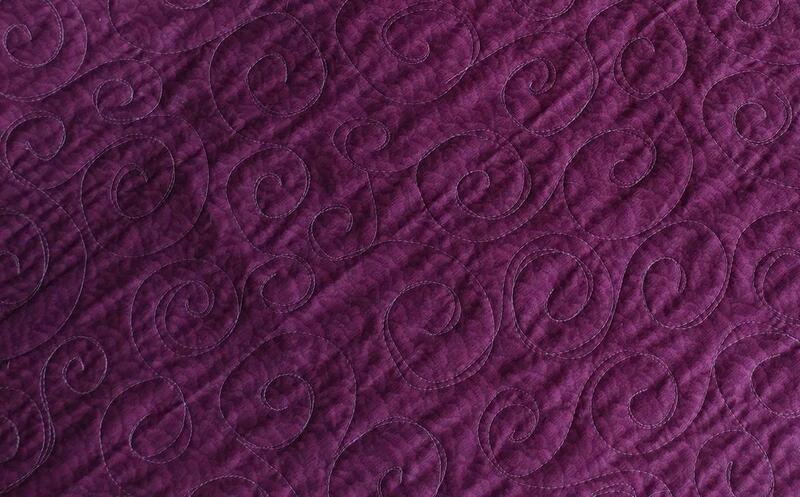 and free motioned an all over swirl design with Aurifil 50wt. It worked perfectly! Then I loaded the big one. It was going to require multiple thread colors and custom quilting that I had not practiced on anything but paper before. The quilting was very time consuming. But the longarm handled it like a pro! I can not show you this quilt yet either, but I'm so giddy over the quilting! Now it was time to celebrate!! Right after finishing the big deadline quilt, we moved across the state. The longarm is assembled again in our new home and already back to work. It's sewing just as perfectly as it did before! I'm so excited for all the options a longarm provides! 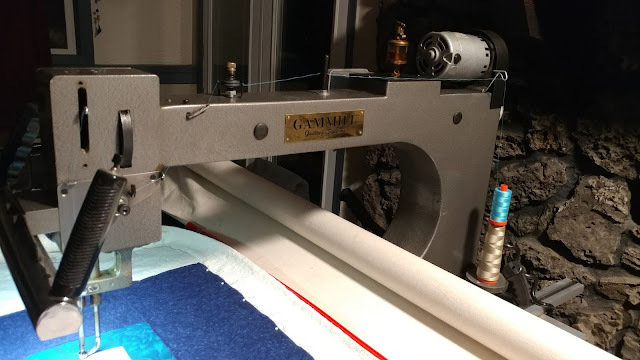 My longarm is a 24" 1989 Gammill on a 14' table. It has no bells or whistles. It does not have a stitch regulator, can not accommodate ruler quilting, does not have channel locks, and the foot can not be changed. But. I got a fantastic deal on it, I am learning to work within it's limitations (and find ways around them! ), and I know we will create many (many!) beautiful quilts together! 1. My machine needs a name! I want something clever and creative (like The Green Apricot's "Juan the Gammill Camel"). Do you have any ideas?? Do you name your sewing machines? What are their names? Maybe it will spark an idea for me! Now that my longarm dream has come true, I'm going to have to come up with a new big dream/goal for 2019! My Innova is Mistress and I love her as much as I hope you love your Gammill. I use the Harbor Freight knife holder magnets to check my tension on a practice sandwich - I have a dead bar that I just leaving it on off to the side of my quilt and I put the practice sandwich over the belly bar and lean on it to keep it still. I frequently do not use the same color thread in my bobbin as I am using on top, so any pokies really show. When you change to different weights of thread, it helps to have that area to get the tension perfect and I don't have to rip out any "oops". I love Superior Threads for thread and needles. I can quilt a whole quilt with their metallic thread with out breaking the thread. Use the proper needle sizes for your thread weight - really helps to eliminate the shredding/breaking of thread. Superior Threads has a great educational section on their website that is free to help with all things thread/needle related. Enjoy your new best friend!!! What a story! I'm glad s/he is working so well for you, Laura. What do you use magnet bars for? You should be able to buy a base that slips on and off for ruler work. I only have mine on when I'm using a ruler. Great quilting! I hope you're getting settled in your new home. Congratulations! I'm amazed at your tenacity, I would have been crying toward the middle of that story! 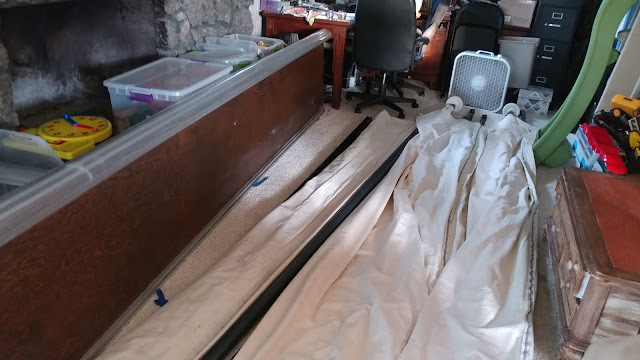 What do you mean that your longarm won't accommodate a ruler? Congrats on YOUR new longarm. What a golden treasure! It's amazing what we do when we are pregnant - it's been almost 39 years and I moved 2 weeks before my daughter was born. I was sick the entire pregnancy and I was sicker at the end than at the beginning. I was placed at the new house and every time a delivery was made, I do something like push furniture around. My sister-in-law was warning me about what I was doing and I was so ready to deliver the baby that I didn't figure it would matter if the baby came two weeks early. As it turned out, it was a blessing that she was born two days after "due date." I was not ready to go to the hospital as the pains were not close enough but it was close to 5 PM and the doctor was at the hospital and insisted that he check me at the hospital. So, I reluctantly went to the hospital. She was born 20 minutes after I go to the hospital. I had a very fast labor and that would have been a real monkey wrench on moving day. 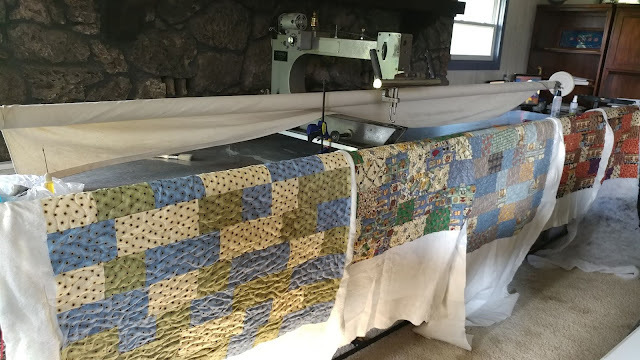 You are a work horse with quilting and you certainly do need a longarm. 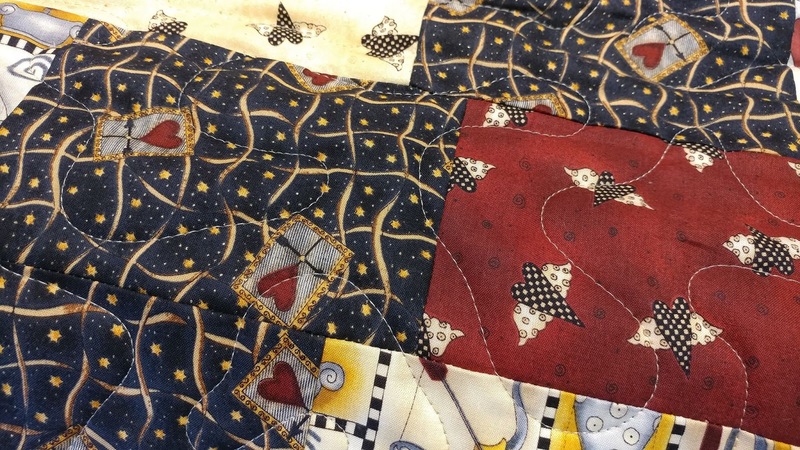 You are not going to have time to quilt for others who need fast turn around, either. Good luck and blessings. 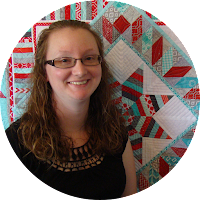 Congratulations, and your quilting is wonderful! I know you'll have a delightful time with your machine. You should contact Gammill and show them what you've done with an old machine, and have them send you a new machine with all the bells and whistles - maybe you could be a Gammill Ambassador! I can only imagine what you could do with all the fancy stuff! Oh wow, I had no idea about the rain and stress of getting it home and set up. Congratulations on the good deal, getting it up and running, and moving. I actually don't have a name for my longarm, either; one never really came to me. Having your scissors on a tether that you wear or have attached to the side of the longarm helps a lot! I personally have found that backings do best when the seams run horizontally (side to side) and not vertically. Have fun! 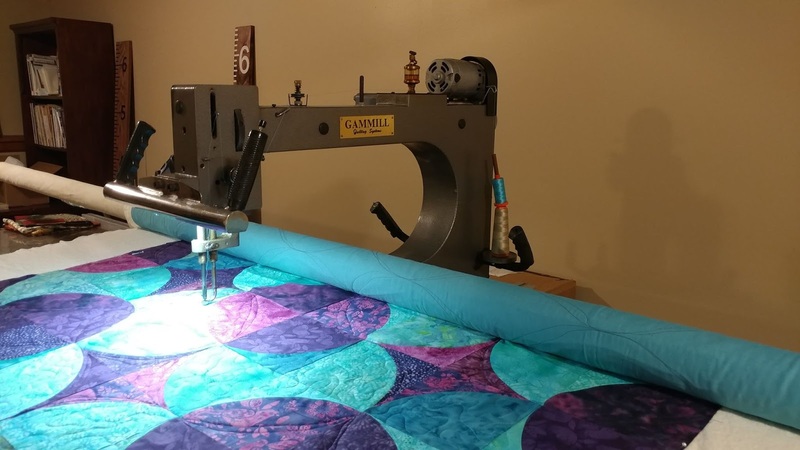 So excited for you on the new longarm! This week my dream came true--I also bought a used longarm on Facebook Marketplace. I named it after her former owner. I am so excited for you. I'm glad that you found a good deal on a machine and that you have the room for it. Wonderful! How exciting!! But yes, I would have cried during that ride home in the rain and all the cleaning that came afterwards!! How about "Millie Gammillie" ? Congratulations - you must feel like a kid in a candy store! SCOOTER...came to my mind instantly...I don't know why. Congrats on the addition! You will have tons of fun:) My Nolting Funquilter I named Ima for I'm a quilter! Congratulations! Man, sounds like those first few days were a doozy! So glad the machine is up and running for you. No name suggestions (though I like previous commentor suggestion of "Millie Gammillie.) I don't have a long arm; my standard machine is Willa the Wonder Machine. Wow! How about Dreamboat ofr its name? YAY! I too bought a used longarm and I haven't stopped since. The older ones are real workhorses. I don't know about Gammils but if you can find a way to get a ruler base working in it, that will bump you up a notch in terms of skills. Congrats! I also bought my Gammill second hand, and have absolutely no regrets. I have a sign that hangs on it when not in use that says "Welcome to my happy place". As others have suggested, get an extended base for ruler work. I use Superior threads almost exclusively. And join a longarm chat group, on Facebook or wherever. Also see if there is a LA group that meets in your area. I use clamps in front of the wheels on the carriage as channel locks. I get straight lines all the time !!! Congratulations, Laura! I'm so glad you were able to get it running so well, especially after the trouble with getting it in and dry. I waffle between wanting a longarm and being perfectly content with quilting on my domestic machine, but it doesn't really matter because there's nowhere in my house that will accommodate a longarm until 2 of my boys move out and I can have their room as a sewing room :) I can't even imagine how quickly you'll be able to finish quilts now! Fantasia came to mind when you asked about names.....a fantasy that became a reality! Congratulations! I too have a Gammill and I love it!